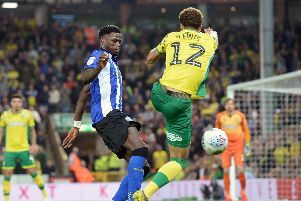 The planned Sheffield Wednesday fans’ forum with chairman Dejphon Chansiri has been rescheduled for Wednesday, December 19, the club has announced. But Octagon owners the University of Sheffield cancelled the forum at the weekend, stating that fiery social media posts in the aftermath of the Owls’ 2-1 defeat at Swansea City on Saturday had forced a review of the risk assessment for the event. Wednesday have acted quickly to reschedule, exploring several options for venues in the city before being forced to settle on the original staging at Hillsborough, and 24 hours earlier, due to lack of availability during the busy festive period. Though the capacity of the 1867 Lounge will be significantly lower than that of the Octagon Centre, the club have put plans in place for the event to be streamed to other hospitality rooms within the stadium should demand for tickets remain high. A statement from the club read: “Despite our best efforts, a venue of sufficient size to match the Octagon could not be sourced at this busy time of year and at such short notice. Interest in the event has been exceptionally strong, largely due to Wednesday’s struggles on the pitch this season, plus continued doubts over the club’s financial position. The Owls were placed under a transfer embargo in April after breaching the English Football League’s profit and sustainability regulations. The embargo was lifted in August. Wednesday have struggled for form this season, losing seven of their last ten Championship matches and sitting five points outside the relegation zone. Unrest among supporters has grown in recent weeks, with a significant section calling for manager Jos Luhukay to be sacked. Such unrest was cited by the University of Sheffield in their reasons for cancelling the fans’ forum on Sunday. A spokesperson from the university said: "In response to comments on social media, the risk assessment for this event has been reviewed and updated with regards to stewarding and safety.